It’s been called the Dubai of northern China, showered with wealth, packed with public infrastructure and located near to precious natural resources in a region plagued by water-supply troubles. 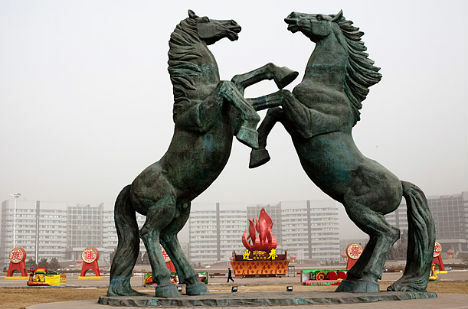 But the urban center of Ordos City, known as ‘Kangbashi New Area’, has been mostly deserted for five years. Kangbashi isn’t a ghost town due to economic issues, contamination or any other common cause of such abandonment – the government simply can’t convince people to move there. Built for 1 million people and currently inhabited by just a few thousand (despite a government claim of 28,000 residents, who are more likely just commuting workers), Kangbashi is filled with brand new buildings. One apartment building after another perches on the edge of streets that rarely see traffic, skyscrapers stand empty and over $5 billion worth of public buildings are unused and unstaffed. 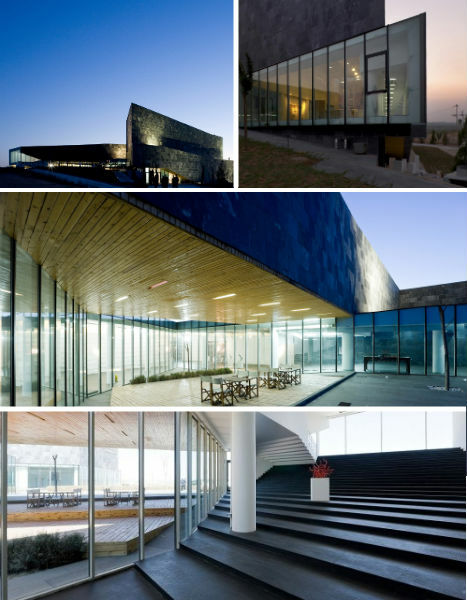 One notable architectural project, the Ordos Art Museum, was the first structure to go up in the new civic center. Its ethereal location on a stretch of sand dunes along a lake makes it all the more visually striking. But this 29,000-square-foot exhibition and research space is just accumulating dust until the city’s hoped-for residents move in. Even now, construction on Kangbashi homes, businesses and public buildings still continues. 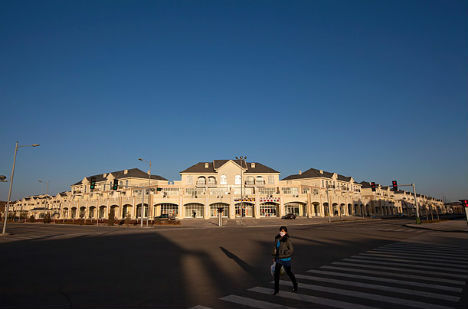 City officials are confident that it’s just a matter of time before many of the 1.5 million residents of Ordos proper, who live 15 miles away in the old section of town, see the light. 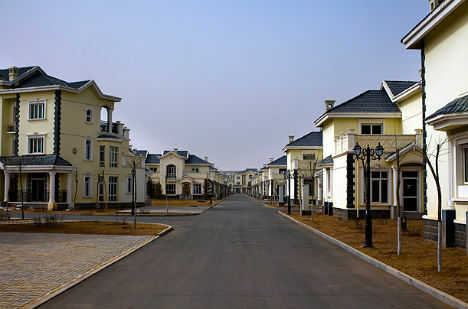 The Ordos city government has already moved its offices there, but that’s the extent of life in the new town. Kangbashi’s local economy should be flourishing, given its close proximity to abundant natural resources like natural gas and coal. 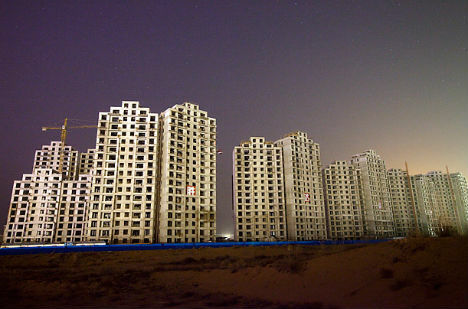 As in much of the rest of China, real estate in Ordos is booming, and the apartments in Kangbashi aren’t empty for lack of buyers. Investors have snapped up nearly every available residence, confident that they’ll eventually see a big return. But it’s exactly this activity that has analysts worried about a speculative real estate bubble that will inevitably see a painful pop. 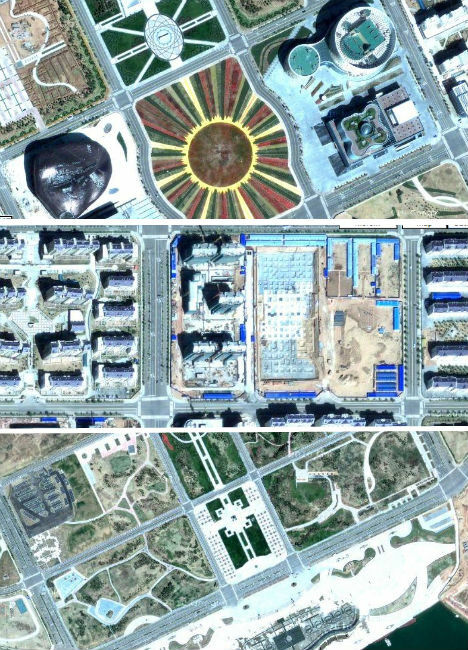 On Google Maps, you can explore the vacant city’s complex layout, intricate landscaping and wealth of public spaces like parks, swimming pools and a massive town square. The land is still raw in many areas as construction marches on, and what few cars can be seen are clustered around government buildings. New highways cut into sparsely populated countryside. So why don’t people want to live here, in a sparkling state-of-the-art city filled with modern architecture? Mostly, for now, moving to Kangbashi is an inconvenience. 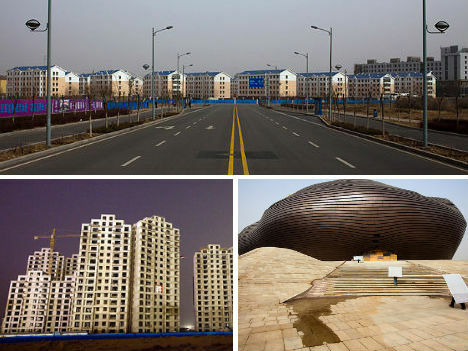 The new district is a thirty-minute drive from the old district where the bulk of Ordos residents still live, and the slow pace of relocation has stalled important supporting services like restaurants and markets. It may seem like a bizarre folly on behalf of the Chinese government, borne of severely misplaced optimism. 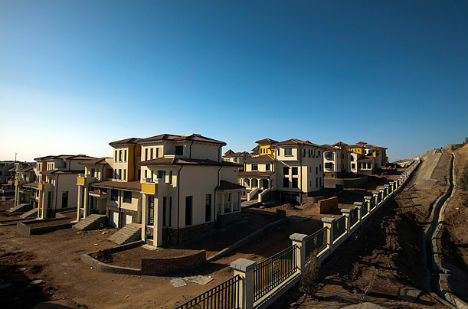 But Ordos is indeed expanding at a rapid pace, home to a growing number of coal millionaires and producing China’s highest gross domestic product per capita. 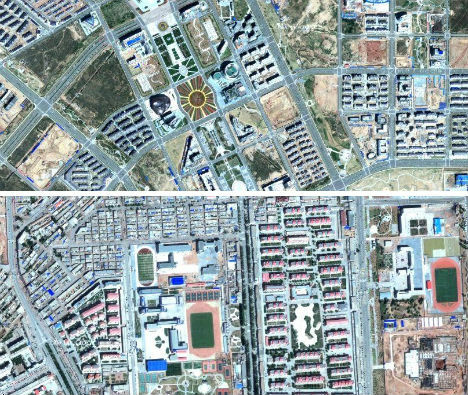 And pouring money into such new urban areas is part of a plan by China’s government to increase its middle class, benefiting the nation’s economy as a whole. Despite the current eerie silence of its streets, it’s probably safe to say that Kangbashi won’t be empty for long.